Ready to see your dog on a treadmill? There are several brands of dog treadmills for sale. 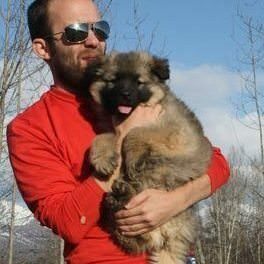 While they provide a means for a dog to walk endless in a small space, they each have different features, details and prices. And these can be the difference between what you really need and what doesn’t work. This dog treadmill review will look at some of the most popular brands. Whether you use a treadmill made for people or one made for dogs, walking on a treadmill is not something that comes naturally to your dog. Remember the first time you used one or ever watch a child try one? Whether for people or for dogs, you have to teach your dog to get on a treadmill, balance, and walk on the treadmill. 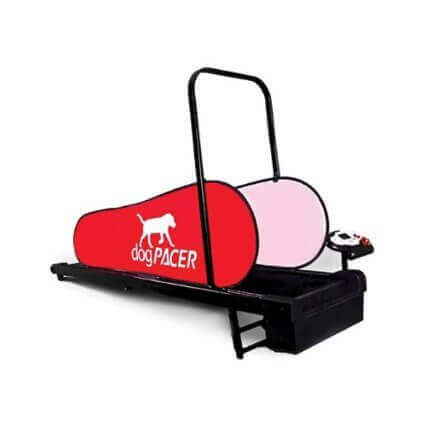 The dogPACER is a popular brand treadmill for dogs that is a pretty good bet for you. One of the nicest features of it is that it is specifically designed to fold up as small as possible for storage. We really dislike it when it seems like product functionality is lost for the sake of storage design, but these guys did it right. The side panels are collapsible and don’t have to be stored on the treadmill. And it’s not going to break easily. Instead of going cheap, they used a reinforced steel frame on it. 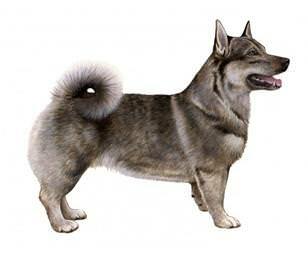 If you have a large breed dog, you won’t have to worry about the frame bending on the first day. We also like the electronics they include with this. Out of the box, it comes with pre-set fitness programs already set up. You can start your dog slow and should easily be able to find the right speed for your pup. The speed options range from 0.5 to 7.5 MPH. That’s one of the nicer parts about this treadmill, it has great range. The motor shouldn’t burn out on you super quick either. They use 1.5 HP motor. All of their parts come with a 1 year warranty and the frame has a 3 year warranty. 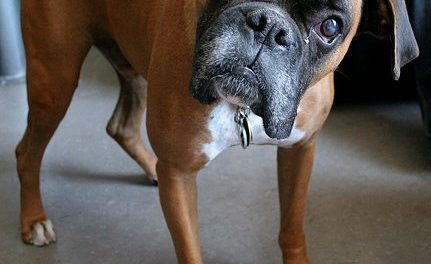 The frame warranty is good, because if you are focused on getting your dog the right amount of exercise, that’s a lot of runs for your four-legged friend over the course of 3 years. 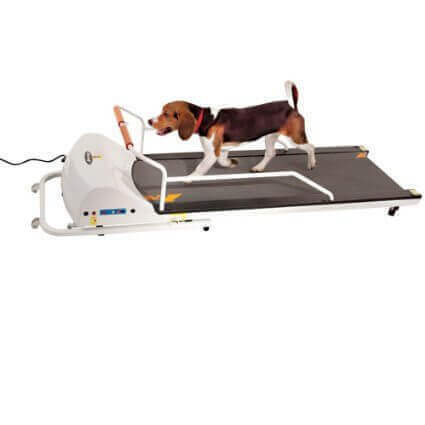 The GoPettrade Treadmill uses two methods for adjusting the speed of your dog’s treadmill. Like most dog treadmills, it has adjustable speed that can be controlled on the treadmill itself, but this one also has a remote control. While it doesn’t fold up for storage, it does have wheels on it that make it easier to move around your house. While we admire designs that fold up, the ease of moving the treadmill around on wheels is nice. The motor is a 1HP motor, which should work just fine for most dogs. One of the features of this treadmill in particular is that it begins slowly and ramps up to the set speed. 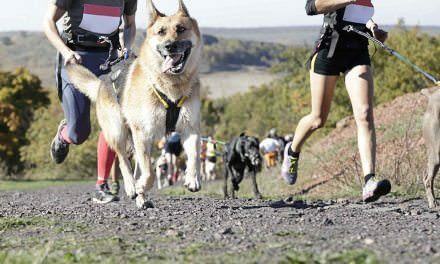 So, rather than having your dog on the treadmill and having to manual keep turning up the speed or the track going rapidly right out of the gate, your dog’s pace is slowly ramped up as the treadmill begins to run. This treadmill also has a metal eyelet at the front of it that you could use a treat or toy to entice your dog to begin running with. The PetZen Dog Treadmill for large dogs is another option for folks who need to keep their larger dog (up to 150lbs) getting good exercise. The Dog Tread was awarded the Top Pet Fitness and Weight Loss Products award by the Association for Pet Obesity Prevention in 2009. Like other dog treadmills, this one has a manual console that allows you to control the pace and intensity of your dog’s exercise. It also has side rails on it to keep your dog’s focus forward and block out distractions. One of the cool ideas that was implemented when this treadmill was designed is the inclusion of small recesses to stock up with pet treats. Like we talk about often, motivation is a fantastic way to train your dog. Having treats readily stocked before you get your dog on the treadmill is a great idea. You can also adjust the incline on this treadmill to make your dog work a little bit harder without having to run faster. 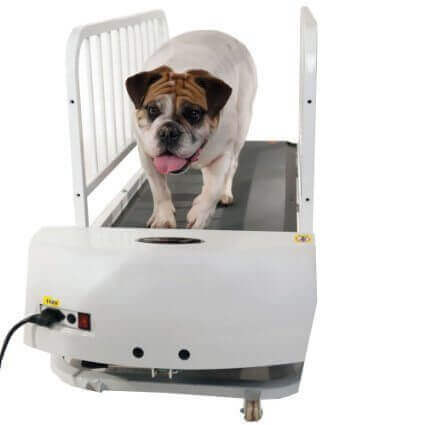 The Gopet Treadmill works for dogs that are up to 132lbs. It’s one of the treadmills that comes with a remote control, so in addition to walking over to your dog to adjust the speed, you can do it from across the room. 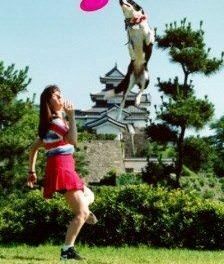 Gopet has been around since 2008 and focuses on making animal exercise equipment. In addition to treadmills, they also make dog wheels that are sort of similar to hamster wheels. 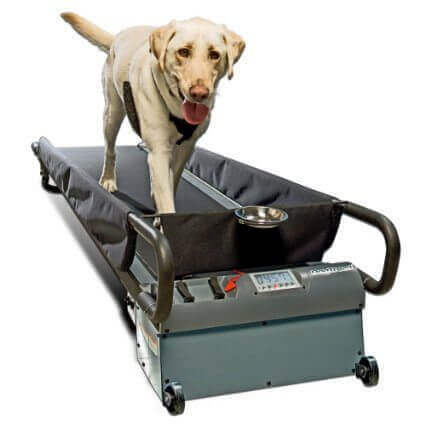 The design of this treadmill is intended to make it easier for dogs to get accustomed to using the treadmill by trying to keep the platform as low to the ground as possible. Similar to other dog treadmills, the Gopet has wheels to make moving it around your home or apartment simpler. While it is heavy like other treadmills, it’s fairly easy to set up.